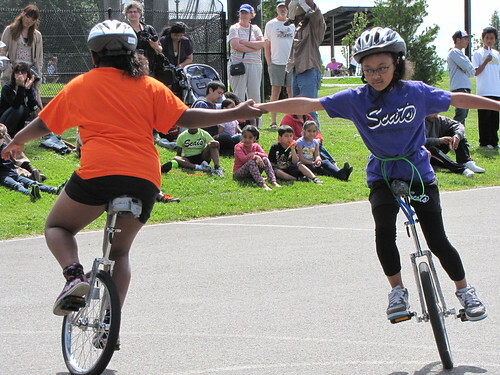 Students perform on unicycles at the 2012 Beacon Hill Festival. Photo by Wendi Dunlap. Tomorrow, Saturday, June 1, from 11 to 4, the Beacon Hill Festival returns for a fine day at sunny Jefferson Park. (It’s June already?!) This is the 21st annual event; it’s a neighborhood fair, but also a fundraiser for scholarship programs at Jefferson Community Center. I hope the festivities will be drowned out by loud airplane noise — to inspire the mayor and local dignitaries to help the neighborhood do something about reducing it.